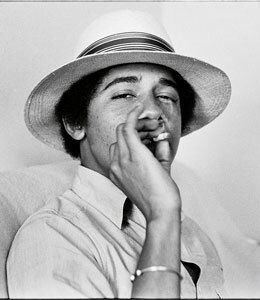 Check out this snapshot from Time of a young Barack Obama puffing away on a cigarette. In 1980, the future prez was at Occidental College in L.A. when aspiring photo Lisa Jack asked to snap his pic. He agreed -- and the rest is presidential history! Barack has said he is trying to quit smoking, and he won't smoke in the White House.